Vote Thomas Cha for QuickSchools Teacher of the Year 2012!! 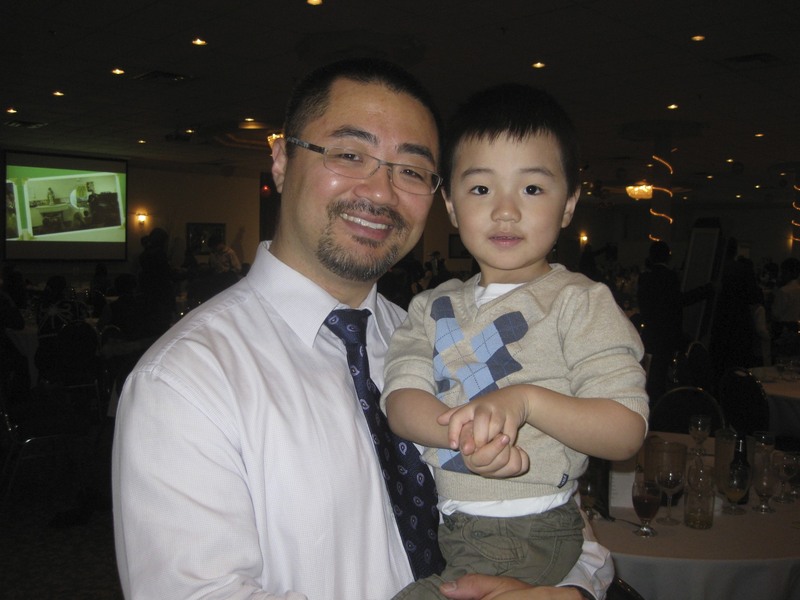 Help Thomas Cha win the inaugural QuickSchools Teacher of the Year award. To all teachers out there, we salute you! QuickSchools.com is a fully-online school management system. Thomas Cha is a Rockstar Teacher! He is awesome as teacher! His kindness, understanding, support, really has helped my son from being a sad boy, because unfortunately he was victim of bullying from another school, and then when we changed him to Lumen Veritatis Academy and met Mr. Cha everything changed! Now he has self-confidence and is again the happy boy he always was, we as parents are so happy and thankful with Mr. Cha. We thank God for having Mr. Cha as teacher! My story probably isn’t as interesting as those of others. I never had an ah-ha moment that I was supposed to be a teacher and I never dreamed of being a teacher as a kid. It all started with some private music tutoring, church summer school, and youth group. After finishing university, I desperately needed a meaningful direction for my life. I always knew that my strengths were: the ability to teach, empathize, patience, and love of people (especially children and young people) so teaching seemed to fit the bill, but because I never thought of myself as a teacher (the kind I grew up with), I entered Teacher’s College hesitantly and with some reservations on whether I could be a teacher and whether or not I would enjoy being one. Even after I received my degree, I have had chance to try few other lines of work, but I have to say that nothing gives me the same kind of joy as teaching does when done in the right kind of environment. What do you hope for your students? I have always been a big believer that the knowledges students gain are important, but not as important as the experiences he/she gains from school. It’s a bit hard to express my thoughts and feelings on this topic, but basically, I am a huge believer in trying to better the person rather than bettering the amount of knowledge a student retains when leaving my classroom. At the end of the day, does it really impact the students’ lives if they remember obtuse angles or acute angles? But I believe that their perception of themselves and the ability to see the world with a wider scope WILL change and shape them. So even being a teacher in a classroom and having curriculum to follow, I will always opt to teach them life skills, thought processes, or show them new/better ways of thinking and being if I had to make a choice. In the end, my greatest hope for my students is for them to become the people who I believe they were all meant to become; people who are thoughtful and caring of others and as agents of positive change in the world in their own way. Anything you’d like to share with us? e.g. favorite moments, etc. Voting ends at 11.59 pm on Friday May 18, 2012. Winner will be announced on May 25, 2012. ← Thank you for your nominations! Yes, Mr. Cha is doing a great job at Lumen Veritatis Academy! Our schools need more teachers like him. I am not a student of Mr,. Cha, but I have been involved with a school project with him. The project was the school Christmas Dinner Gala. I was handling the sound equipment for the school play which was put up at the dinner. It was a pleasure to see Mr. Cha in the morning at rehearsal guide the children and boost their self confidence to overcome stage fright. It was also a pleasure to watch him give last minute pointers to the 2 girl singers who (as a result of his coaching and advice) put up an excellent performance in the evening. What I really did appreciate the most is that after the dinner in the evening and all the activities ended, Mr Cha went well beyond the call of duty by staying back to help wrap up the microphone cables and pack up all the gear. As a kid growing up I did not have any teachers I liked, looking at Mr. Cha’s work ethic as well as his way of interacting with the students makes me wish I had teachers like him. Mr. Cha is an amazing teacher and individiual. He is truly an individual who practices what he teaches. As a parent I have watched Mr. Cha interact with students and parents with patience and grace. The thing that truly stands out when I meet Mr. Cha is his smile. He is always smiling no matter what the situation. I have watched with play with the children, perform magic tricks for them and also correct them with the same loving gentle expression on his face. I truly feel blessed to have teachers like Mr. Cha be a part of my child’s academic and personal growth. Thank you Mr. Cha for being a humble, gentle and great teacher. I completely agree with Mrs. Conlon, Mr. Cha is an amazing teacher and a very loving and caring person! A grand teacher! Very proactive and exciting! He really knows how to use his talents to help his students in their learning experience. The best teachers have: a desire to educate young people and act as a positive role model; an ability to work with students from diverse backgrounds and abilities; interest in helping people learn; enthusiasm about their work, creativity, energy and patience! All this sustained by a solid Faith is just part of why we are proud of having Mr. Cha in our family of souls at LVA. Thank you everyone for your wonderful and encouraging comments. It’s been a true blessing to be a part of LVA and its great circle of Brothers, staff, parents, and children. Thank you for all your prayerful support of all of us in doing His will. Mr Cha as a marvellous Teacher. He is very calm and inspires his clases all the time. Lumen Veritatis is very privileged to have him at the staff! Mr. Cha is a great teacher! I vote for him. We need more teachers like Mr. Cha. Yes, I vote for Mr.Cha. Good teacher is God’s gift to the children. Mr. Cha always cares about children along with the opportunity of their qualitative education. I certainly urge you to vote for him. I have known Mr. Cha for over 10 years and know that he is passionate about education and cares very much about kids. I am so glad that someone nominated him. Teacher of the Year does not sufficiently encompass what Mr. Cha does. He molds the future of the world. He inspires every student not only in his class but throughout the whole school. He truly is a blessing to have at Lumen Veritatis Academy. To vote for Mr Cha as The Teacher of the year is obvious ! Mr Cha is not only a wonderful teacher, he is THE TEACHER every child dreams to meet. He is THE TEACHER who could make all the students love school. He is also able to teach magic tricks, music, to sew costumes for students ‘show …..and much more ! !